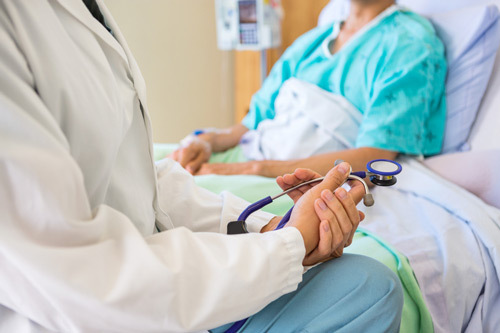 A new study revealed that nursing regular notes are a good indicator of whether intensive care unit (ICU) patients will survive. Hospitals typically use severity of illness scores to predict the survival of ICU patients. These scores include lab results, vital signs, and physiological and demographic characteristics gathered within 24 hours of admission. Researchers at the University of Waterloo used the large publicly available intensive care unit (ICU) database containing patient data between 2001 and 2012. After some inclusion and exclusion criteria, such as the need for at least one nursing note for a given patient, the dataset used in the analysis included details about more than 27,000 patients, as well as the nursing notes. The researchers applied an open-source analysis algorithm to extract adjectives in the text to establish whether it is a positive, neutral or negative statement. A multiple logistic regression model was then fit to the data to show a relationship between the measured sentiment and 30-day mortality while controlling for gender, type of ICU, and simplified acute physiology score. "Mortality is not the only outcome that nursing notes could potentially predict. They might also be used to predict readmission, or recovery from infection while in the ICU," said Joel Dubin, an associate professor of the study. The study was recently published in the Journal of PLOS ONE. How important mental health is?